Telafante Logo An embroidery hoop with the word Telafante inside of it. 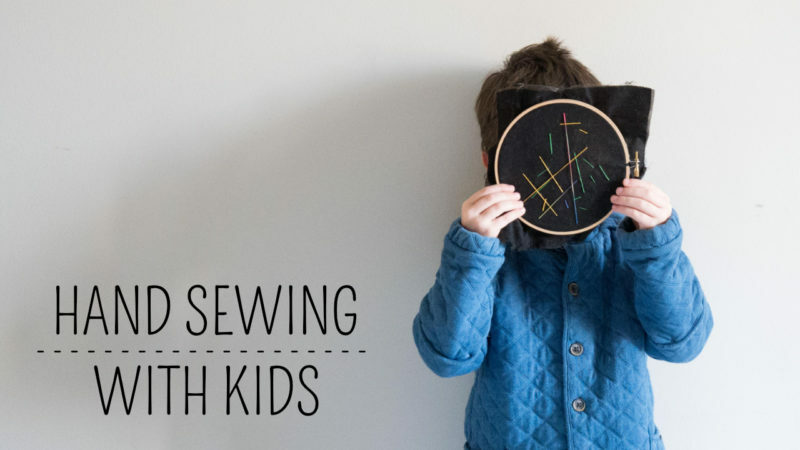 Sewing with kids can mean so many different things. 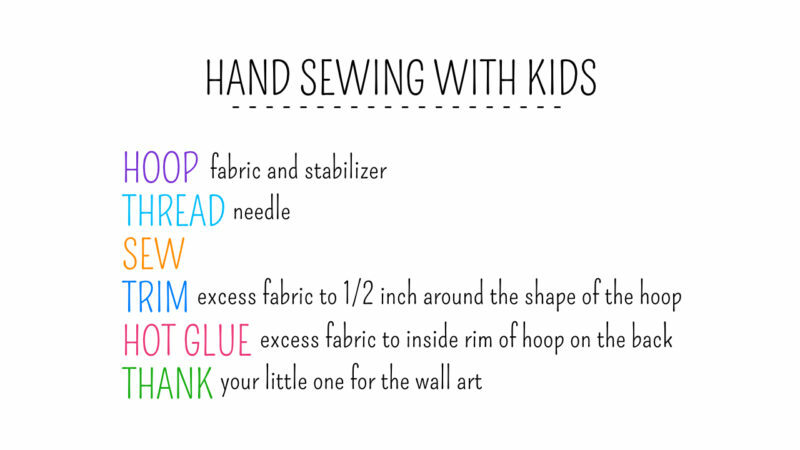 For my two year old, it’s usually playing with fabric scraps and using them as blankets for her dolls. My four year old can actually sew something. When he was two, I started giving him twine on a needle and showed him how to thread beads. By the time he was three, I let him play around with hand sewing on fabric. 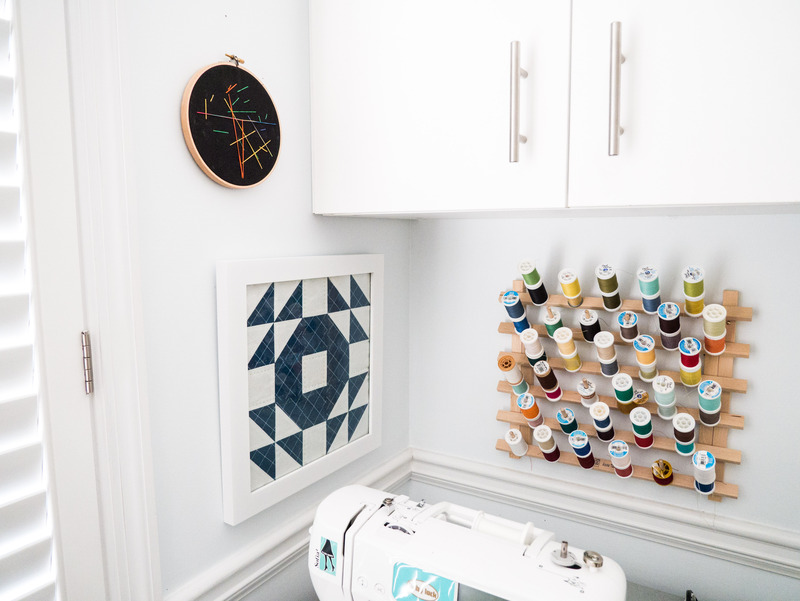 He could do it, but needed help remembering when to flip the hoop over and which side of the fabric the needle needed to be on. 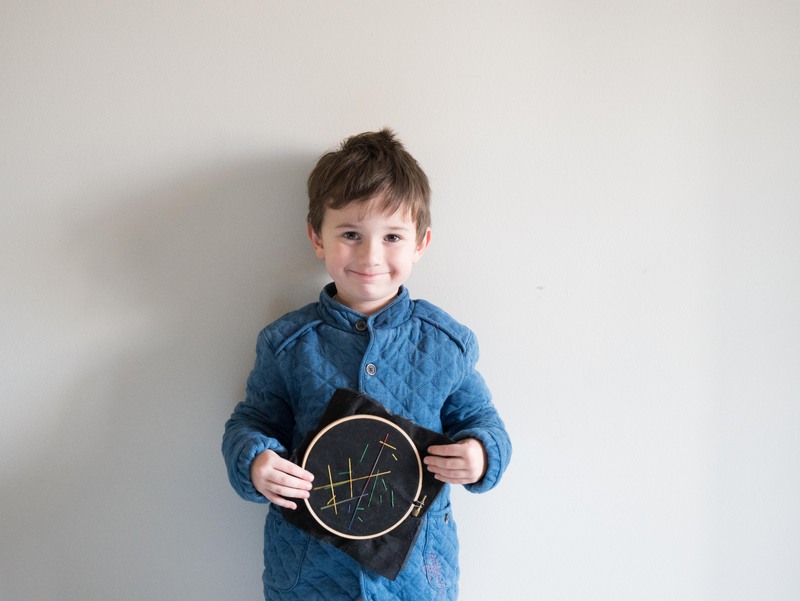 At four years old, he can easily hand sew on his own. I gave him an embroidery hoop in the car on our last road trip, threaded the needle for him and let him stitch whatever he wanted. He stitched completely on his own and just made straight stitches back and forth wherever he liked. I love Sulky’s Petite 12 Wt. threads, especially their variegated ones. 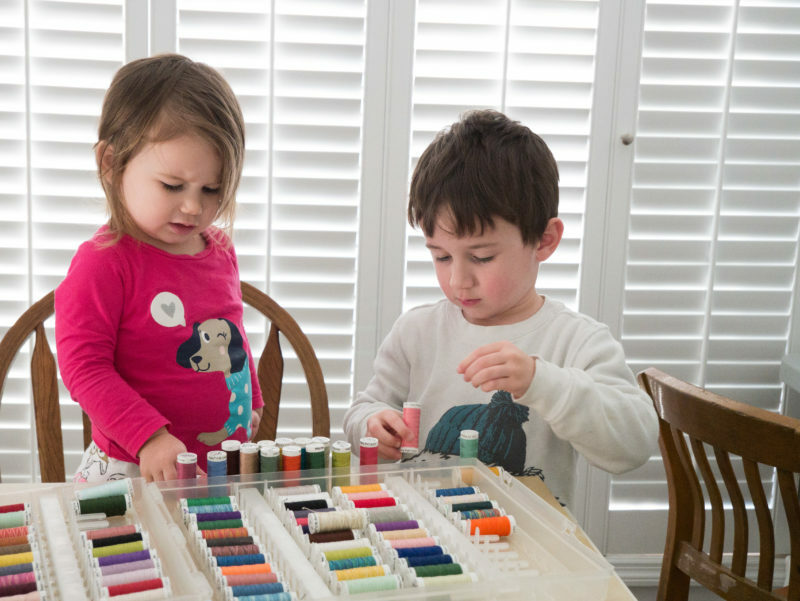 They are perfect for kids to use on a solid color. The bright colors on the black fabric look so awesome. Thanks to Des, I have some new art work for my sewing room wall. Final Day for the Poinsettia and Holly Leaf Sew Along!